To manage a network of 100+ commerce kiosks, I created a network management database system with MS Access, Visual Basic and pcAnywhere to track and report on current and past kiosk activity. I had two projects converge into a single product idea that I called a Viosk. 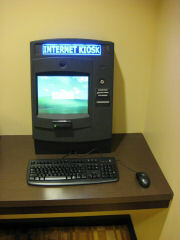 It’s a computer kiosk for customer service than contains a web browser and video conferencing. 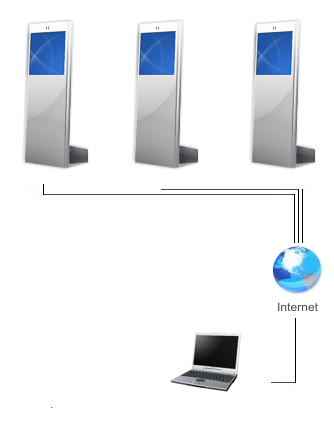 The customer and a service representative can see each other by video and share the browser window. For the two banks that were interested in this, it allowed helping customers at unmanned branches to complete forms while maintaining a more personable relationship.